Here’s an archive of the tweets from the Sport Management Australia and New Zealand (SMAANZ) Conference at University Technology Sydney, 28-30 November 2012. This is the second year that there has been a groundswell of Tweeps attending – adding another channel to the conversation. The tweets started the conversation before the conference and is continuing it afterwards, with some presenters uploading presentations. A notable mention to Olan Scott, for uploading his prior to the conference. Next year, I’ll be trying (again) to UStream my presentations. I’d also like to try some smart phone “clickers” in a presentation and also an interactive Twitter feed. It would also be great to have a screen of the Tweets in the breakout rooms to further stimulate conversation. Even though there isn’t the same need for hashtags, it’d be good to go with a common one. My preference is #SMAANZ – given the short life of tweets, we don’t need to differentiate between years. Then that we can have four extra characters. 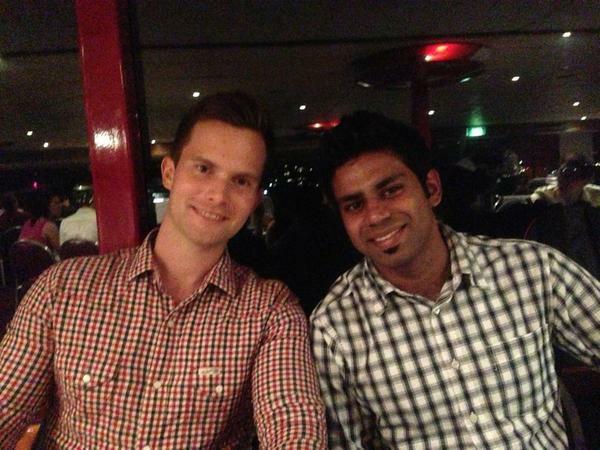 @aaronraman89 have the SMAANZ conference in Sydney this week. How’s it going in Perth? The 2012 SMAANZ conference starts tomorrow at UTS Haymarket, with great sport industry speakers & keynote by Prof George Foster #smaanz2012. sportsbusinessinsider.com.a… SMAANZ #sportsbiz conference tomorrow. Looking forward to it. @smaanz2012 curious on the choice of screen name. Why not be Smaanz for branding across years, and work 2012 via the hashtag? Day 1 of the 2012 SMAANZ Conference comes to a close! @LindfieldGroup My mate Rob says SMAANZ all too research biased and not linking to real world Guess you’ll be disappointed to hear? Australia and New Zealand Sport Management Conference happening now! I am broadcasting live on Barriers to Sport Officiating in Swimming Victoria #smaanz at ustre.am/RaxB come and check it out! Every time @GeoffSchoenberg uses the #smaanz2012 hash tag, I giggle more than when we stayed at Twiggleberries. Ha! #smaanz! RT @donovandeschner: Every time @GeoffSchoenberg uses the #smaanz2012 hash tag, I giggle more than when we stayed at Twiggleberries. Ha! #smaanz! @patdavis3 Hey pat, how was SMAANZ conference? @smaanz2012 Thanks to all at UTS for a great SMAANZ 2012: enjoy a bit of R&R and then planning your trip to SMAANZ 2013 in Dunedin! @danya good to meet you at the SMAANZ conference. Look forward to seeing the SLSA work published.